The primary focus of GSL is to provide a safe and fun place for youth to build community and self esteem, while learning about ocean safety, environmental stewardship, developing passion and goals, sportsmanship, and the ins and outs of competitive surfing. ALL GSL EVENTS ARE FREE & NOBODY LOSES IN THE FIRST ROUND! Fun games and beach activities help keep the atmosphere more about sharing the stoke than winning or losing, and having no losers in the first round provides an enhanced learning experience. After the first round the top 50% of competitors continue on in the main event while the lower 50% advance into a repercharge division. Both divisions continue with advancing rounds until narrowed down to finals. Finalists are treated to prize bags and amazing custom or recycled trophies. Each event is hosted by local professional athletes who are alumni of the Surf Happens contest series or coaching programs. These pro surfers are Surf Happens Foundation ambassadors and help to promote the SHF mission and programs through their events, acting as role models sharing passion and illustrating surfing as a healthy and positive lifestyle. In addition, these athletes participate in a Pro Expression Session with their professional friends showcasing state of the art surfing for the next generation to learn from and enjoy. GSL events also promote other nonprofit organizations in an effort to garner awareness and support for their causes. Collaborative partners for 2015-2016 GSL events include the Teddy Bear Cancer Foundation (Lakey Peterson Leadbetter Classic) and The Young And The Brave Foundation (Coffin Brothers Surf Out). GSL competitors aren't just plopped like jellyfish into a competition- we focus on teaching them the ins and outs of competing and how to grow and succeed to their fullest potential and how goal setting and hard work apply in all facets of life. 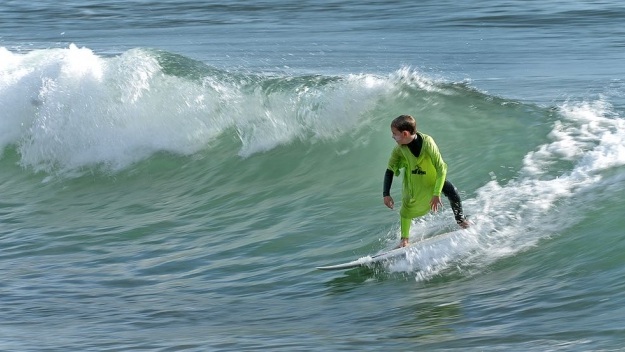 Grom Surf League (GSL) is produced by Surf Happens, Santa Barbara's premiere surf school. The team of highly trained surfing professionals and instructors are experts at putting on surfing competitions and training youth into this empowering sport and have been running the Rincon Classic and youth surfing events for over 16 years. Divisions: (divisions vary depending upon the event, please carefully review information for the event you wish to register for) Contestants may only enter one division per event and space allowing registration for additional divisions will be opened on a first come first serve basis. 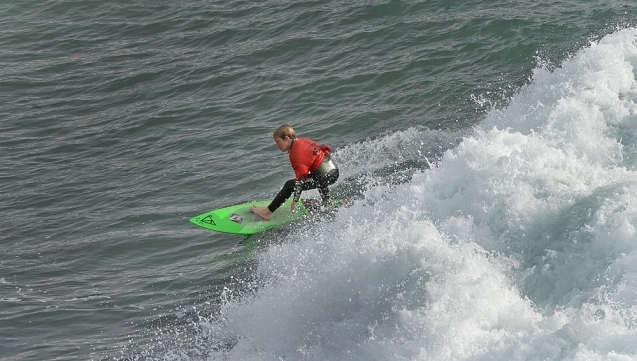 contact us to partner on a grom surf league event!